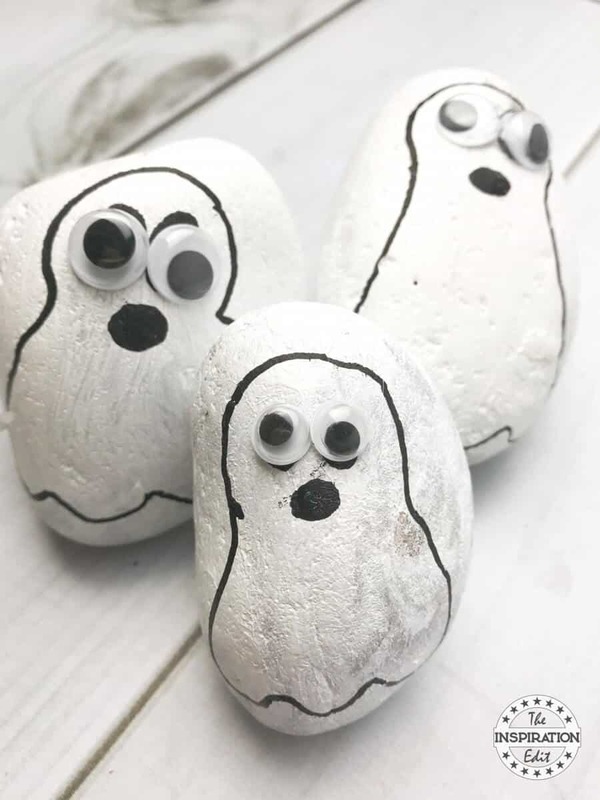 Monster Rocks are a perfect Halloween idea when your on a budget. 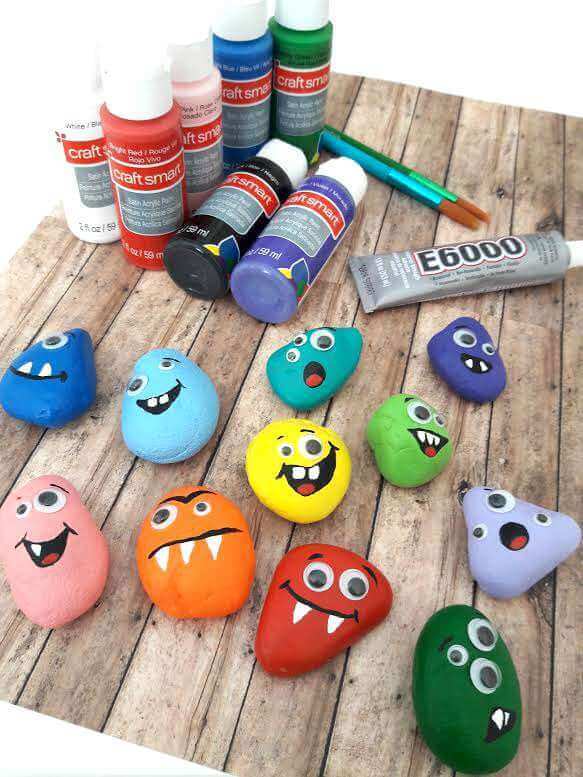 In fact, if you’re looking for something fun to make this Halloween then you may really enjoy painting these super cute monster rocks. 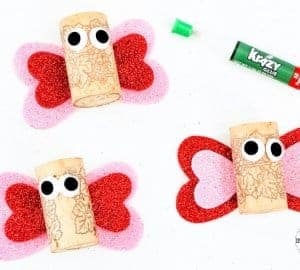 This is an easy and simple craft for both children or adults and can be a lot of fun to create. 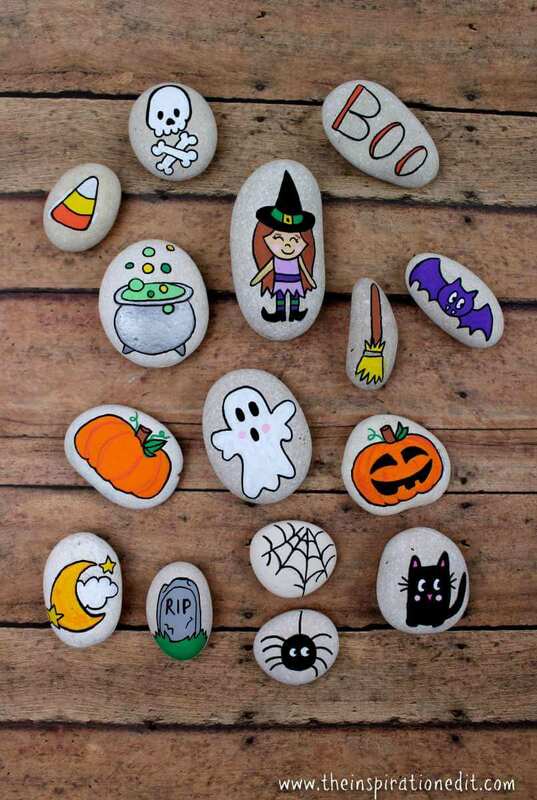 These painted rocks are perfect for Halloween or for any time of the year you fancy really. 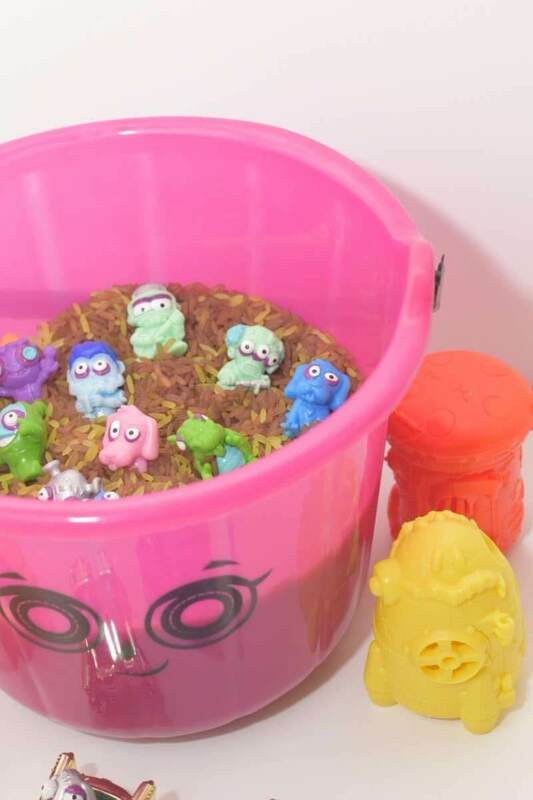 I recommend using plenty of different colours for this craft and giving the monsters different expressions. These can be used in the garden or in the home and look quite cute. So here is the tutorial. 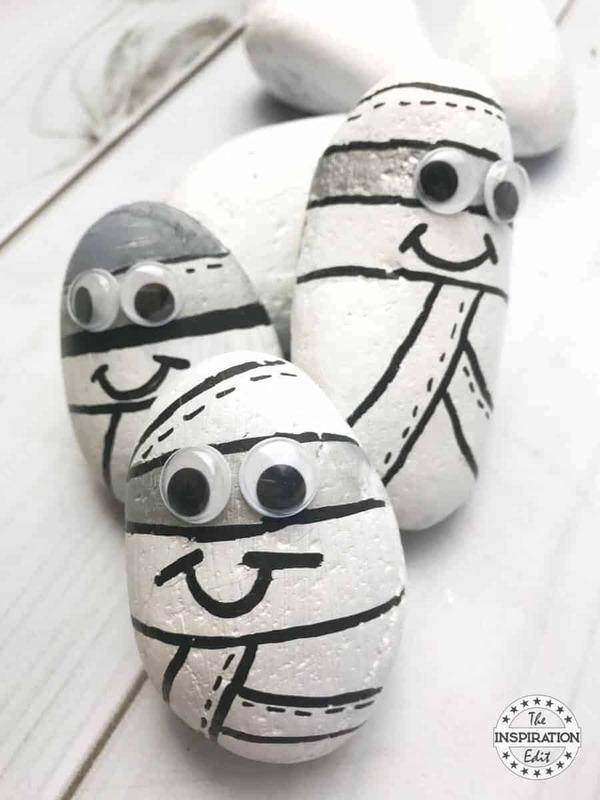 Step 1: Clean your rocks to remove dust and dirt. 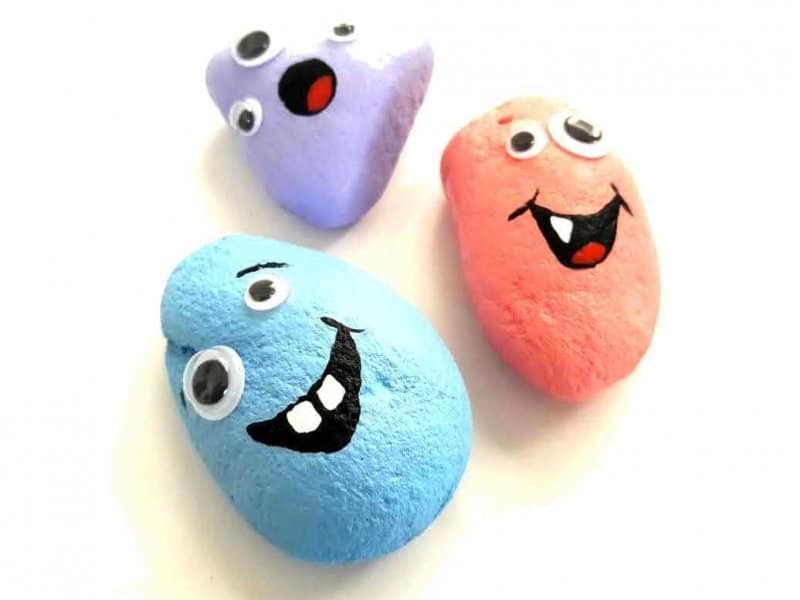 Once your rocks are dry, paint them with various colours of acrylic paint. I found that holding the bottom of the rock worked well. I waited for the paint to dry on one end and then painted the rest. 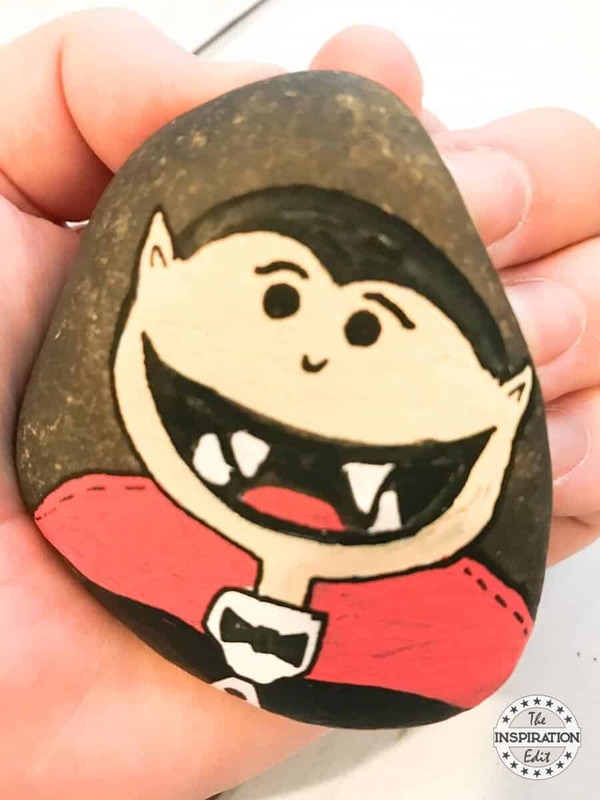 Don’t forget to flip your rock over and paint the back! 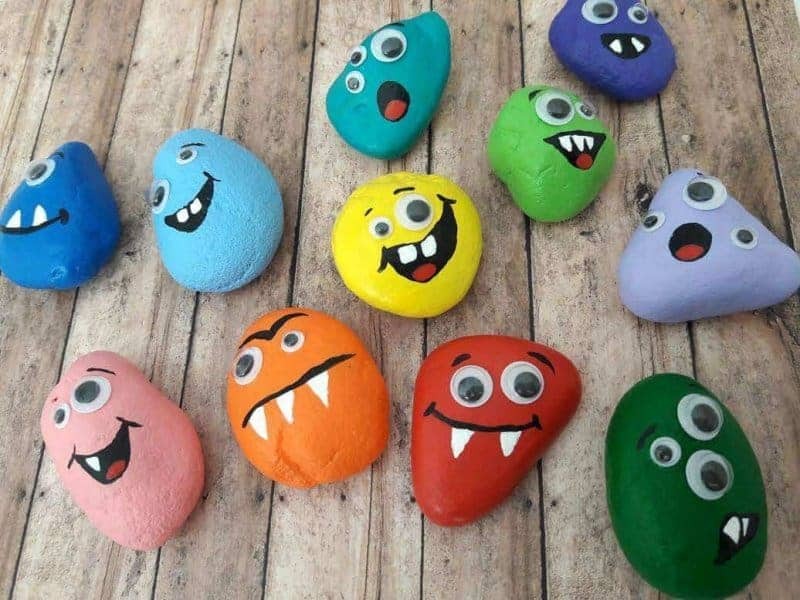 Most of the rocks needed a few coats of paint. You can use a hair dryer to speed up the drying process if you wish. 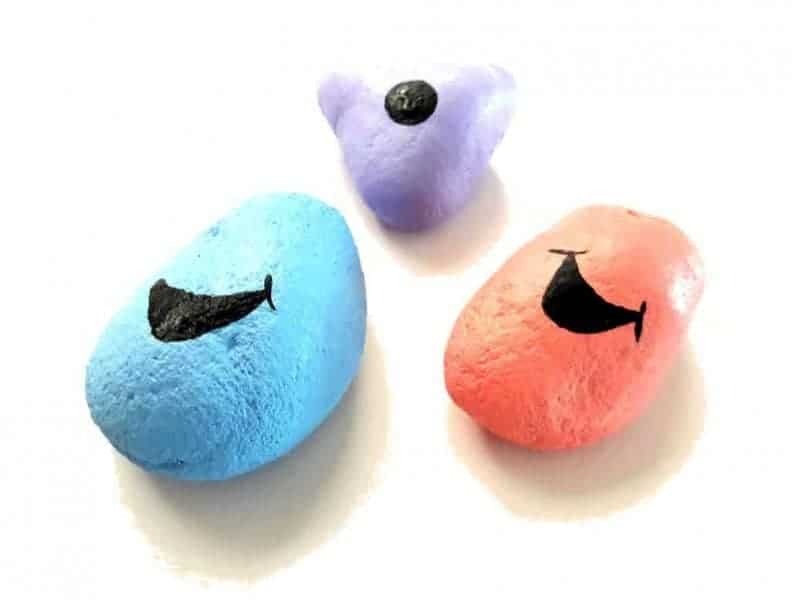 Step 2: Use black paint and a small paintbrush to paint small mouth shapes onto your rock. Let the paint dry. Step 3: Use a small brush and paint white teeth and red tongues inside your monsters mouths. Step 4: Glue on googly eyes. If you’re using a strong glue such as E6000, an adult will need to do this step. The stronger glue will hold up to the elements much better than a white school glue. 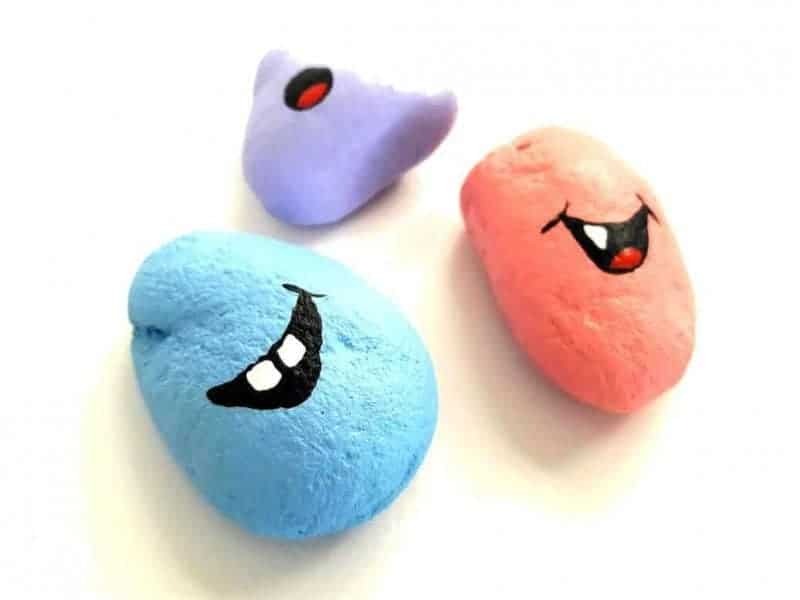 If you won’t be hiding your rocks, school glue would be fine. You could also personalise these as you’d like. Try adding bows for girl rock monsters or yarn hair. The possibilities are endless! Step 5: Enjoy a fun day outside hiding your rocks at a park. 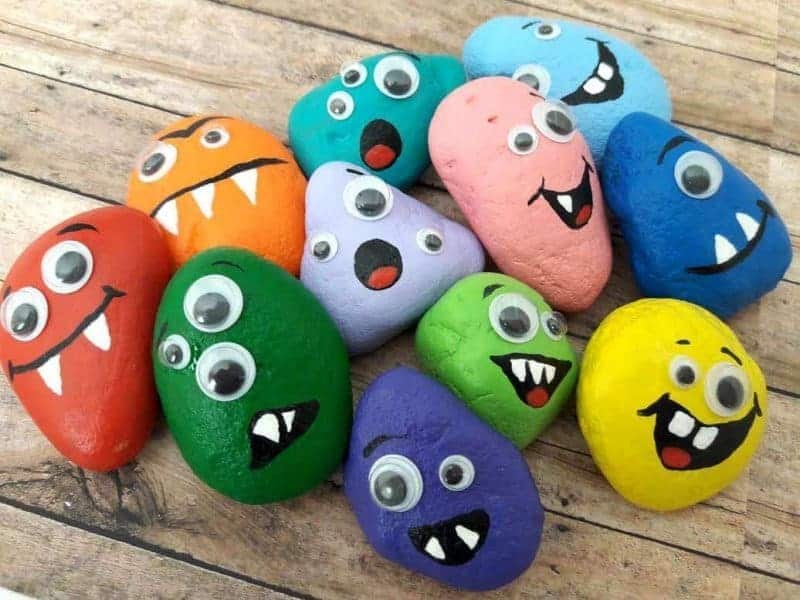 The kids who find your rocks are going to be super excited! 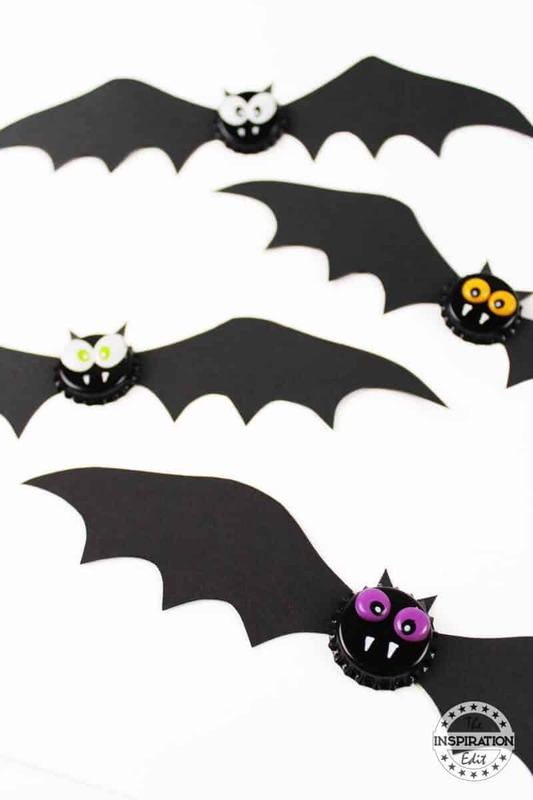 More fun Halloween themed Crafts you may love! 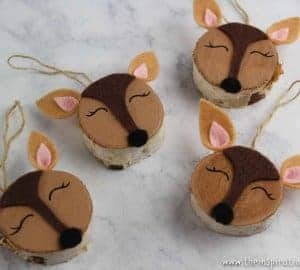 Thanks Hodgepodge 🙂 They are a fun activity to make. 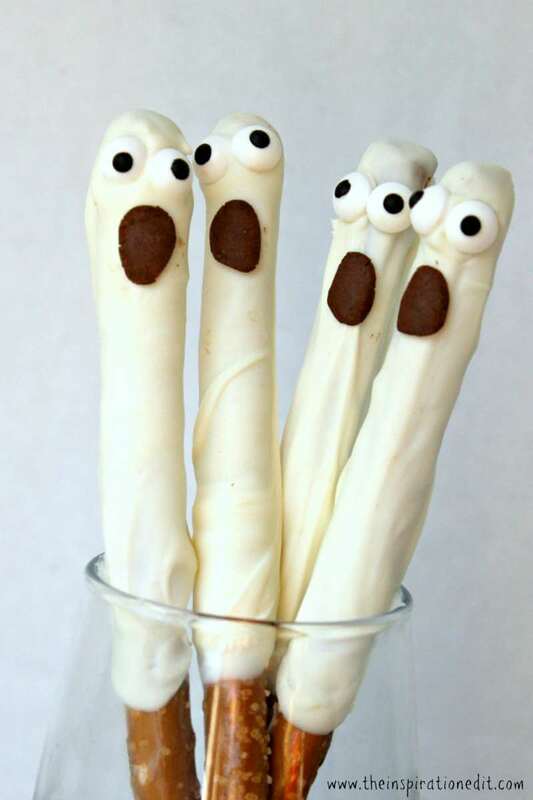 Oh yes perfect for halloween! he he and for those who have been to the beach this summer and collected some rocks. thanks. They are super cool! 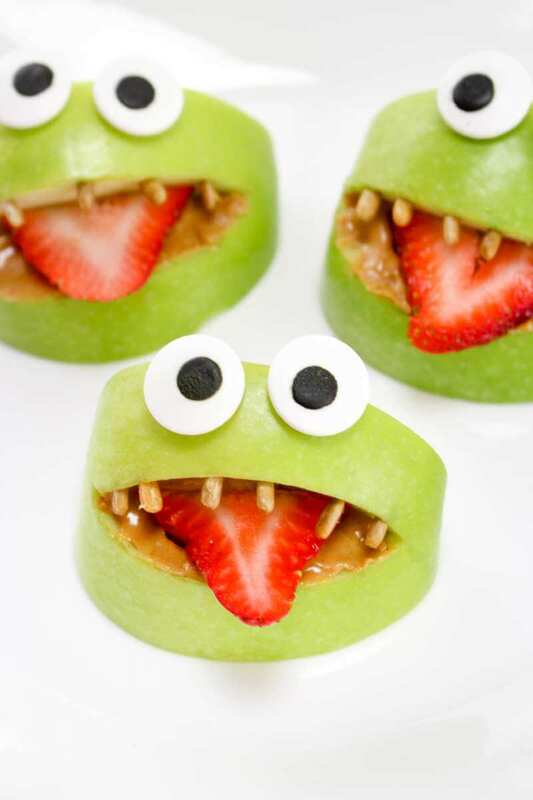 These look like lots of fun for the kids to make and such a great idea for Halloween. 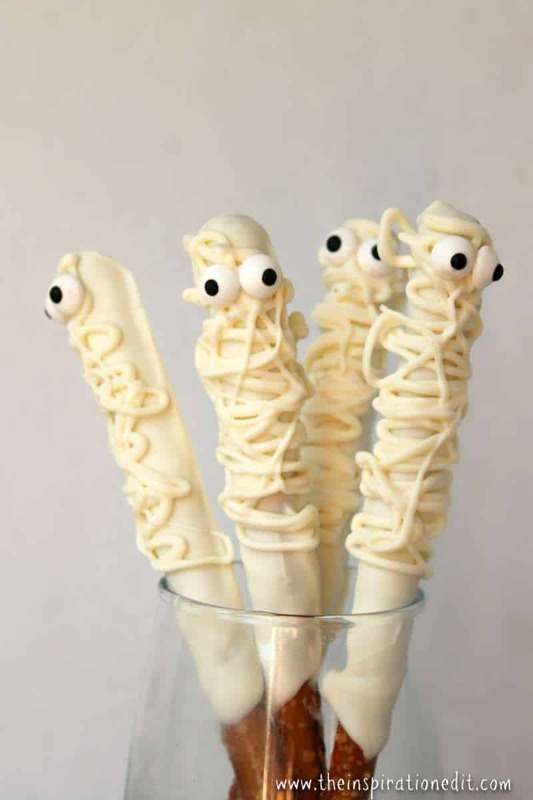 This is such a cute & fun craft idea. 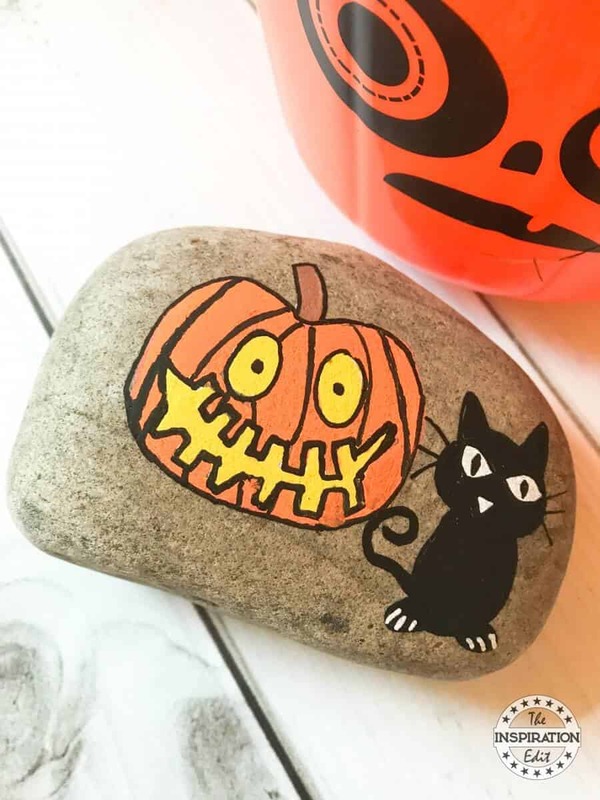 I actually had painted rocks on our bucket list and we never got round to it – so I might change it up to a Halloween craft instead! Thanks for the idea! How awesome. 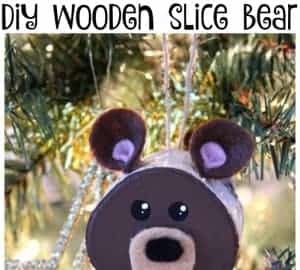 it is a fun craft and really easy to do too! This is fun! 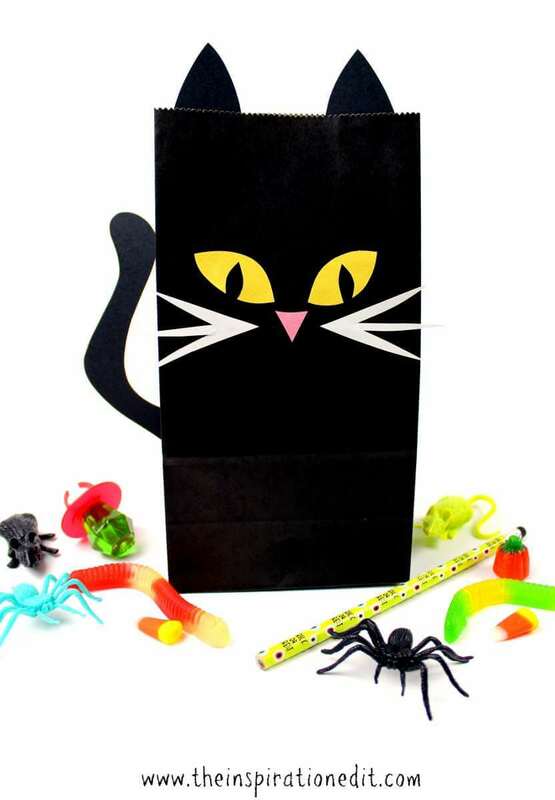 Can be a takehome gift after the party, and be use as paper weight that reminds you of a happy moments. Yes that is an idea in a party bag! It is super simple and cheap I agree! 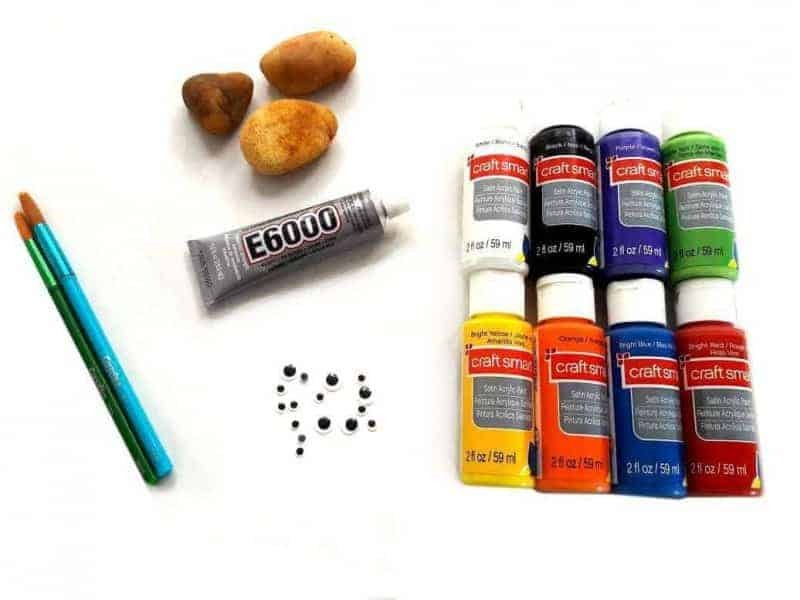 This looks like a lot of fun and an easy activity if your not art and crafts minded! It is an easy craft! It would be a great idea! Awesome. Do tag me on social media and send me a picture when your done! I’d love to see! Love these. 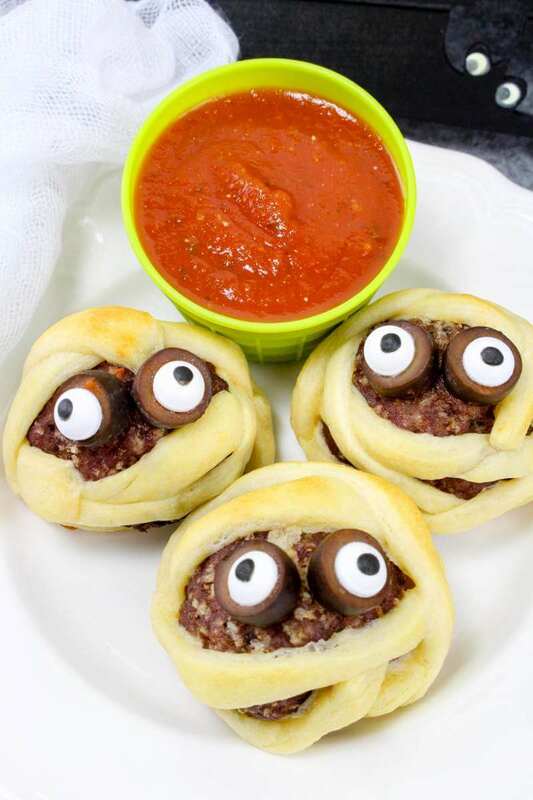 My grandson would enjoy making these.